Get to know U16 West All Star Team Receiver, Ethan Yip! 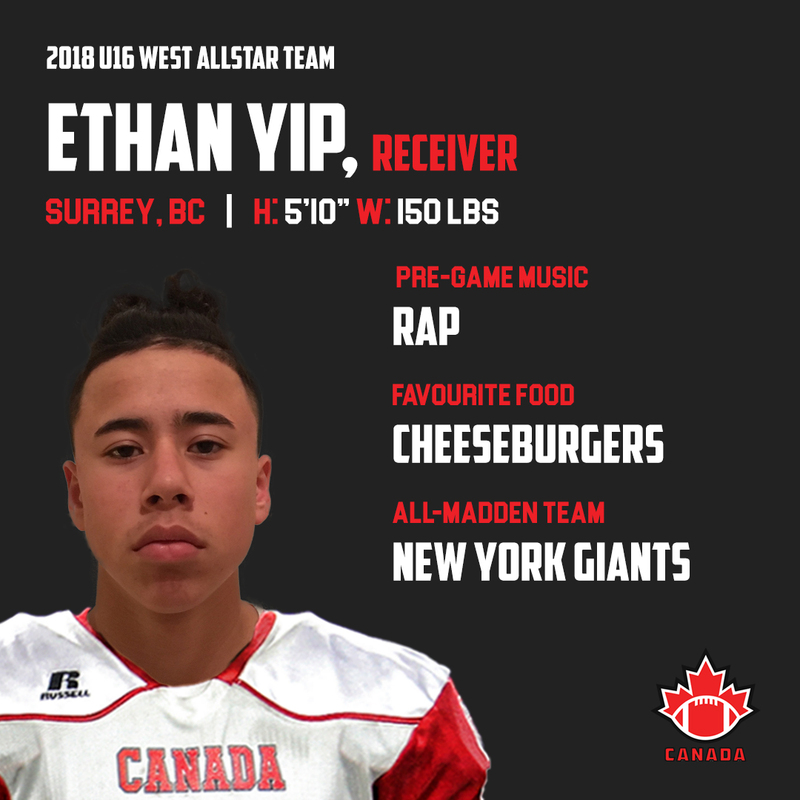 Ethan Yip is a receiver from Surrey, British Columbia who will participate at the 2018 International Bowl in Arlington, Texas as a part of the Under-16 Western Canadian Team. During the summer before he entered grade 8, the offensive standout started playing the sport with friends at lunchtime. The receiver has played for North Surrey Minor Football League, Border Bowl Team and Holy Cross Crusaders of the British Columbia High School Football Association (BCHSFA). Yip’s highlight of his career came this past summer when he scored a kickoff return touchdown for Team British Columbia at the Under-16 Western Challenge in Lethbridge, Alberta. “It was definitely a great experience meeting some of the guys from across BC, being with different players and also meeting some new guys from across Western Canada,” reflected Yip of the tournament. As for role models, the British Columbia player cites the individuals he trains with throughout the year. Making the national team brings out a sense of pride for Yip. While he is excited for the chance, the receiver is committed to working hard in representing the country well at the 2018 International Bowl.